All ARAGON homes currently listed for sale in Boca Raton as of 04/21/2019 are shown below. You can change the search criteria at any time by pressing the 'Change Search' button below. 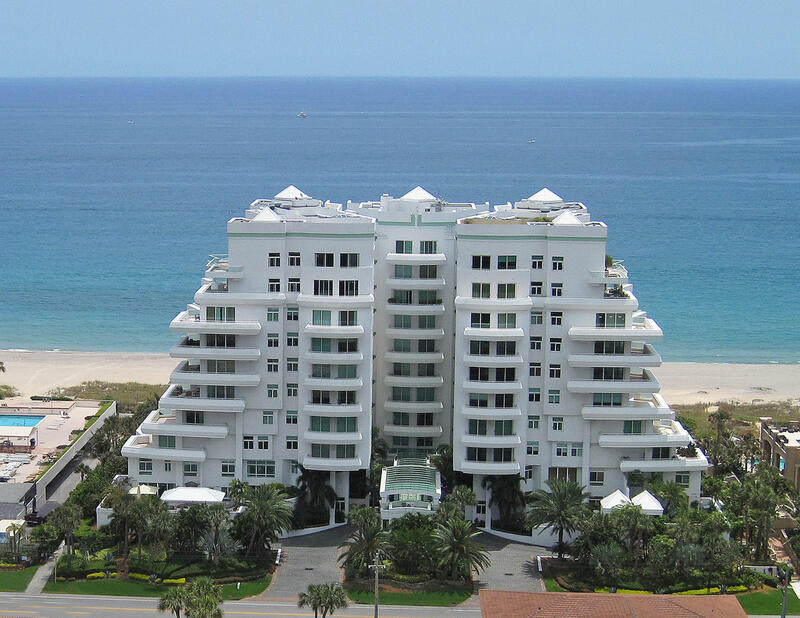 "CUSTOM DESIGNED DIRECT OCEANFRONT DOUBLE RESIDENCE AT THE ARAGON. DESIGNED, BUILT, EXECUTED AND FINISHED IN THE FINEST DETAILS, FINISHES, FURNISHINGS AND FEATURES BY BOB MARTIN OF DECORATORS UNLIMITED. NO DETAIL HAS BEEN OVERLOOKED FOR ONE OF THE MOST AMAZING OCEANFRONT RESIDENCES AVAILABLE TODAY. PRIVATE ELEVATOR ENTRY INTO YOUR FULL FLOOR HOME. SWEEPING OCEAN FRONT LIVING ROOM WITH ADJOINING DEN AND LIBRARY OPEN OUT TO LARGE OCEAN FRONT BALCONY. LIMESTONE FLOORS, DETAILED CEILINGS, CUSTOM FINISHES AND FURNISHINGS COMPLIMENT STUNNING ARCHITECTURE THROUGHOUT THIS MAGNIFICENT RESIDENCE. CHEFS KITCHEN WITH DOUBLE ISLANDS, CUSTOM CABINETRY AND COMMANDING VIEWS. SUMPTUOUS MASTER SUITE WITH OCEAN AND CITY VIEWS, CUSTOM DRESSING ROOMS, FABULOUS BATH WITH SAUNA. FULL SERVICE CONCIERGE BUILDING." "SPECTACULAR TRIPLEX PENTHOUSE AT THE ARAGON. NORTHEAST DIRECT OCEANFRONT WRAPAROUND CORNER FINISHED IN THE FINEST MATERIALS AND DETAILS. CUSTOM BUILT IN 2006-7 WITH SPACIOUS ROOMS WITH SWEEPING OCEAN AND COASTLINE VIEWS. MAGNIFICENT GREAT ROOM WITH WRAPAROUND TERRACE, 9'+ CEILINGS, IMPACT GLASS, PRIVATE ELEVATOR AND PRIVATE ROOFTOP POOL. OCEANFRONT MASTER SUITE WITH HIS/HER BATHS, STUNNING GOURMET KITCHEN WITH BUTLERS PANTRY AND LUXURIOUS BEDROOM SUITES WITH PRIVATE BATHS. ROOFTOP FAMILY ROOM WITH GLASS DOORS TO 30x22 OCEANFRONT DECK WITH PRIVATE HEATED POOL AND SPA. ENDLESS VIEWS IN EVERY DIRECTION. PRIVATE INTERIOR ELEVATOR TO EACH LEVEL. FULL SERVICE VALET, CONCIERGE BOUTIQUE BUILDING WITH THE FINEST STAFF AND SERVICES. INCLUDES BEACHFRONT CABANA AND 2 GARAGE SPACES." 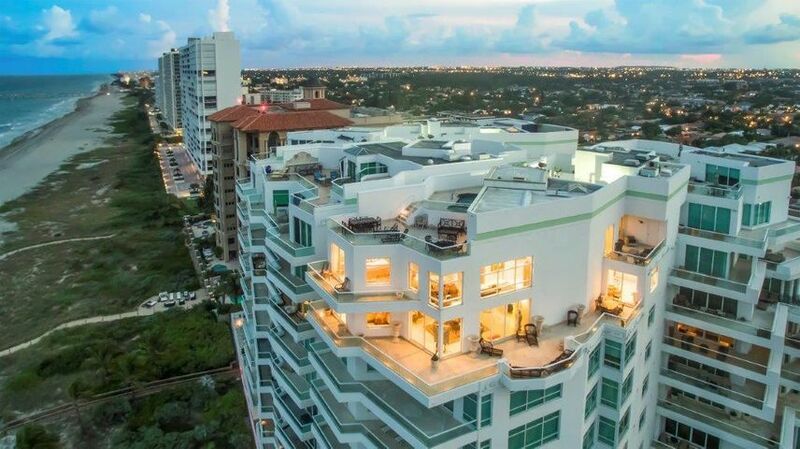 "ONE OF A KIND TRIPLEX PENTHOUSE WITH PRIVATE POOL AT THE ARAGON IN BOCA RATON. NEWLY DECORATED AND UPDATED BY EILEEN MILLER INTERIORS. ELEVATOR ENTERS DIRECTLY INTO YOUR RESIDENCE IN THE SKY PLUS PRIVATE INTERIOR ELEVATOR TO ALL 3 LEVELS. SPACIOUS ROOMS FLOW OUT TO HUGE OUTDOOR ENTERTAINING TERRACES. UPDATED GOURMET KITCHEN OPENS TO GREAT ROOM. AMAZING 2 ROOM MASTER SUITE WITH HIS/HER BATHS AND DRESSING ROOMS. CUSTOM FITTED THEATER/MEDIA ROOM. 4TH BEDROOM IS CUSTOM FITTED AS A SPECTACULAR OFFICE WITH BAR AND FULL BATH. ROOFTOP POOL WITH CABANA/BEDROOM WITH KITCHEN AND BATH WOULD MAKE A GREAT GUEST SUITE OR STAFF SUITE. INCLUDES A CUSTOM FITTED DOUBLE OCEAN SIDE CABANA AND 2 GARAGE SPACES. FULL SERVICE VALET BUILDING WITH 5 STAR SERVICES AND STAFF." 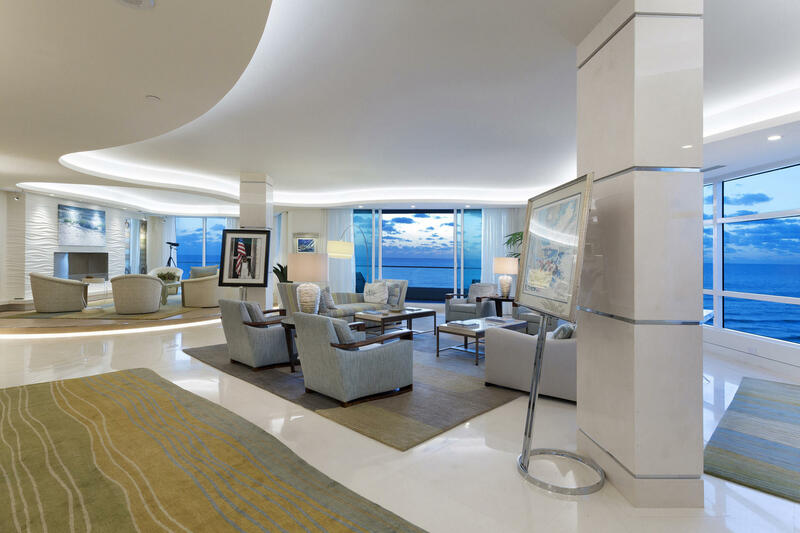 "HIGH FLOOR OCEAN FRONT WRAPAROUND CORNER 3 BEDROOM PLUS FAMILY ROOM RESIDENCE AT THE ARAGON. SPACIOUS ROOMS FLOW OUT TO LARGE WRAPAROUND OCEAN FRONT BALCONY WITH GREAT VIEWS OF THE OCEAN AND THE CITY. OPEN KITCHEN WITH VIEWS TO THE OCEAN AND ADJOINS THE FAMILY ROOM AND BREAKFAST ROOM. SPLIT BEDROOMS FOR LUXURIOUS PRIVACY. GREAT MASTER SUITE WITH OCEAN AND CITY VIEWS, MARBLE BATH AND FITTED WALK IN CLOSET. EACH BEDROOM HAS AN ADJOINING BATH AND WALK IN CLOSET. HIGH CEILINGS, IMPACT GLASS WINDOWS AND DOORS, GLASS RAILED BALCONIES AND ELEVATOR ENTRY DIRECTLY INTO YOUR RESIDENCE. 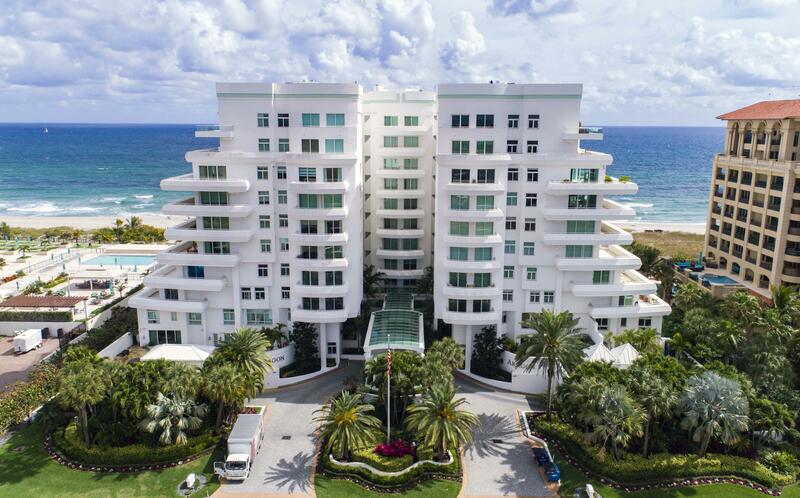 BOUTIQUE OCEAN FRONT BUILDING WITH CONTEMPORARY ARCHITECTURAL STYLE INCLUDES ATTENDED ENTRY, VALET, POOL WITH ATTENDANT, FITNESS CENTER WITH STEAM AND SAUNA AND DIRECT ACCESS TO MILES OF BEAUTIFUL SANDY BEACHES." "HIGHEST STANDARDS AWAIT YOU IN THE DESIRABALE SOUTH BLDG. BEST DEAL: CABANA INCLUDED AND NEW GOLF CART. 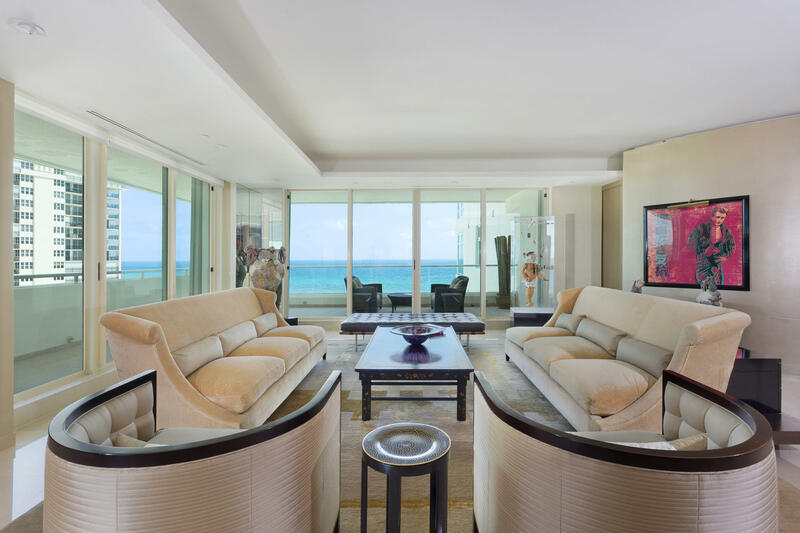 THIS RESIDENCE REPRESENTS UPSCALE OCEANFRONT LIVING WITH A SUPREME STRETCH OF BEACH. IMPECCABLE DETAIL USING IMPORTED STONES IN ALL BATHROOMS AND FLOORING BY MASTER CRAFTSMEN. THE KITCHEN FEATURES CUSTOM WOOD CABIN ETRY WITH PULL-OUTS; VIKING APPLIANCES , SUB ZERO FRIDGE,WARMING DRAWER., AND WINE COOLER. ALL 3 BEDROOMS FEATURE THEIR OWN BATHROOM INCLUDING A JACUZZI IN THE GUEST AND TOTO TOILETS. THE INTERIOR ALSO FEATURES OCEAN FACING MASTER BEDROOM. WRAPAROUND BALCONIES ARE ACCESSIBLE FROM LIVING AREAS. 2 GARAGE SPACES AND COURTEOUS STAFF ON PREMISES 24/7. ULTIMATE ELEGANCE AWAITS YOU WITH NO DETAIL LEFT UNATTENDED. TRANSITIONAL DESIGN THAT NEVER GOES OUT OF STYLE." "SPECTACULAR ONE OF A KIND ARCHITECT DESIGNED WRAPAROUND CORNER RESIDENCE AT THE ARAGON. CLASSIC MODERN DESIGN WITH A NEW YORK LOFT FEEL, FILLED WITH SMASHING ARCHITECTURAL DETAILS, 9+ CEILINGS, SPACIOUS ROOMS WITH WALL OF GLASS AFFORDING SWEEPING OCEAN TO CITY VIEWS AND WIDE WRAPAROUND BALCONIES WITH AMAZING VIEWS. ELEVATOR OPENS INTO YOUR PRIVATE FOYER. LIMESTONE FLOORS, CUSTOM WALL FINISHES, TRAY CEILINGS, FINE WOODS, DETAILS AND LIGHTING THROUGHOUT. LARGE CORNER LIVING ROOM WITH 2 WALLS OF FLOOR TO CEILING GLASS, GOURMET KITCHEN WITH CITY VIEWS AND SPECTACULARLY FITTED LIBRARY/DEN WITH OCEAN VIEWS. MASTER SUITE WITH SITTING ROOM, PRIVATE BALCONY, STUNNING BATH AND DOUBLE CUSTOM FITTED DRESSING CLOSET. FULL SERVICE VALET, CONCIERGE BUILDING WITH TOP NOTCH STAFF AND BEAUTIFUL BEACH!"